Pleshakov, Ushkalov & Partners offer ongoing legal support and corporate deal structuring services aimed at asset security and risk mitigation. Our corporate team specializes in advising on corporate law, M&A, including antitrust regulation and insolvency (bankruptcy) issues. Our lawyers deliver legal services at any stage of business development,whether that be comprehensive legal due diligence or practical issues of transaction implementation. The Law Firm holds a great expertise in execution of statutory documents, SPV shareholder agreements, company structuring for sale, protection against "hostile" takeovers and protection in insolvency proceedings. 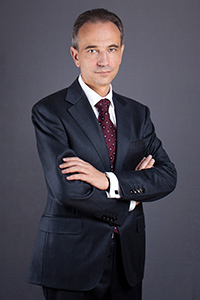 Viacheslav Ushkalov (Partner) is listed by The Best Lawyers international ranking as one of the best experts in this sector. Legal support of corporate disputes, including disputing the decisions of the company management, protection of the share holders (participants)etc. Representation of creditors and debtors in insolvency (bankruptcy) proceedings. More about our project expertise.